Those attending the Rialto Theatre in Canton on Thursday, March 9 at 7 pm will enjoy an evening of authentic Celtic music by Seasons (above) sponsored by Schoonover Plumbing and Heating as part of the continuing Thursdays at the Rialto Concert Series. 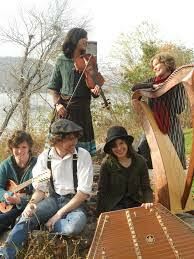 While the instrumentation of the band remains centered on the Celtic harp and hammered dulcimer, over the years the band has added violin, mandolin, guitar, bodhran, penny whistle and piano. Seasons has recorded multiple albums; “Eventide Lullabye” (2006), “Which Way to Dublin Town” (2009), and collaborated with Mary-Kate on her solo album “Mirabilis” (2010). In March of 2012, Seasons released “Amhrain,” a collection of traditional and original Irish airs followed by their return to Christmas music with “Joy on High” released in December of that same year. 2014 saw the release of their self-titled album “Seasons” comprised completely of original songs and tunes. “Lighthouse Keeper’s Daughter,” a song from the CD, was featured on the compilation album Celtic Pink Ribbon Volume III alongside tracks by artists such as Scythian and Carbon Leaf. Seasons albums have received recognition in publications such as Musicmaker’s Magazine, Catholic Digest, Christianity Today, and Grapevine Online, and also have been played on regional and national radio. Their song “The Helmsman,” based on a poem by St. Faustina, was selected as one of the songs on the highly anticipated audio recording of St. Faustina’s Diary (published by Marian Press). The Lee siblings have toured in multiple states and countries and have opened for artists as varied as Grammy award-winner Ashley Cleveland, the Celtic-rock band Scythian, Irish Tenor Mark Forrest, and Celtic Fiddle Festival. The Lee siblings have been featured performers at many national music festivals including The Celtic Fling & Highland Games in of Manheim, PA, as well as the LAUNCH Music Conference and Festival, and the Millennium Music Conference and Festival. Seasons has performed on both regional and national television, including EWTN programs “Life on the Rock” and “Dana and Friends” as well as on “Fox and Friends” on Fox News. From Musical Festivals to Renaissance Fairs, from busking the streets of Ireland to performing for school assemblies, Seasons strive to share their music where ever and whenever they can. 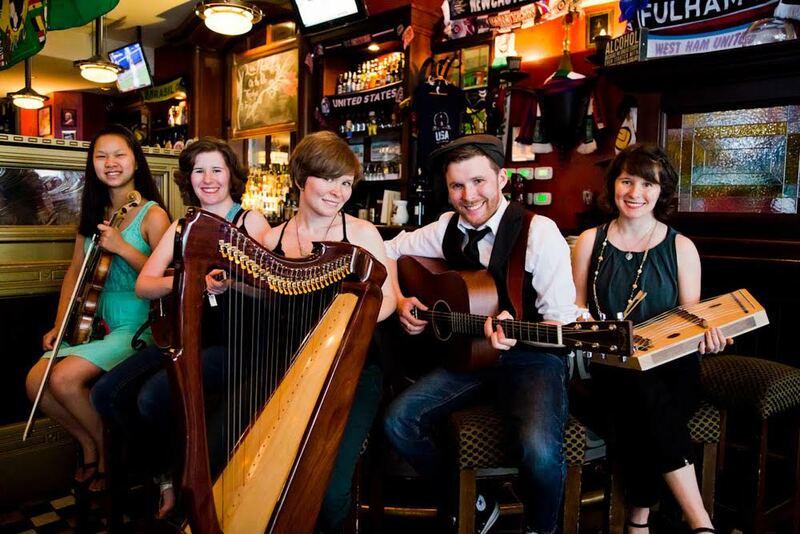 With their influences ranging from O’Carolan to the Yeah Yeah Yeahs, the group creates an exciting and surprising fusion of various Celtic and American folk styles in their original music, resulting in a sound that is truly worth a listen. Tickets are available by purchase through the Rialto Theatre or the BCRAC Office at 570.268.2787. Tickets are $12 for adults and $10 for Seniors and Students, plus a $2.50 processing fee. BCRAC wishes to thank sponsor Schoonover Plumbing and Heating and the Rialto Advisory Council for their hard work and dedication to continue finding and providing quality art programming at the historic Rialto Theatre. The Rialto Theatre is part of the BCRAC Team of Theaters. Built as the Crawford Theater in 1912 and renamed the Rialto in the early 1930’s, Canton’s Rialto Theatre underwent a wonderful rebirth in 1994-1995. The BCRAC reopened the Rialto in December of 1994. For more information, visit BCRAC online at www.bcrac.org or www.facebook.com/BCRAC. About the Bradford County Regional Arts Council: Established in 1976, the BCRAC is a nonprofit organization dedicated to building and supporting a thriving regional arts community by advocating for the Arts, cultivating quality arts programming and preserving Bradford County’s historic theaters as venues for performances, community events and movies. For more information, visit BCRAC online at www.bcrac.org or www.facebook.com/BCRAC.